It’s important to keep your home secure in order to avoid presenting potential burglars with an easy way into your home and to your possessions. Alongside our personal alarms, we also have a range of Keysafes available for you to purchase. Here is a quick guide so you know which one is for you. 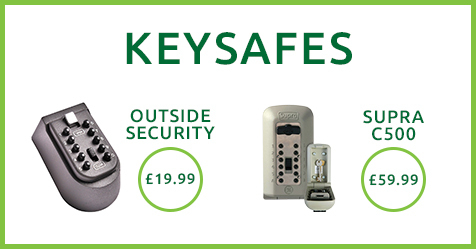 Now you can add extra security to your home for less thanks to our Keysafe price reduction. Check out the Supra C500 and Outside Security devices today.